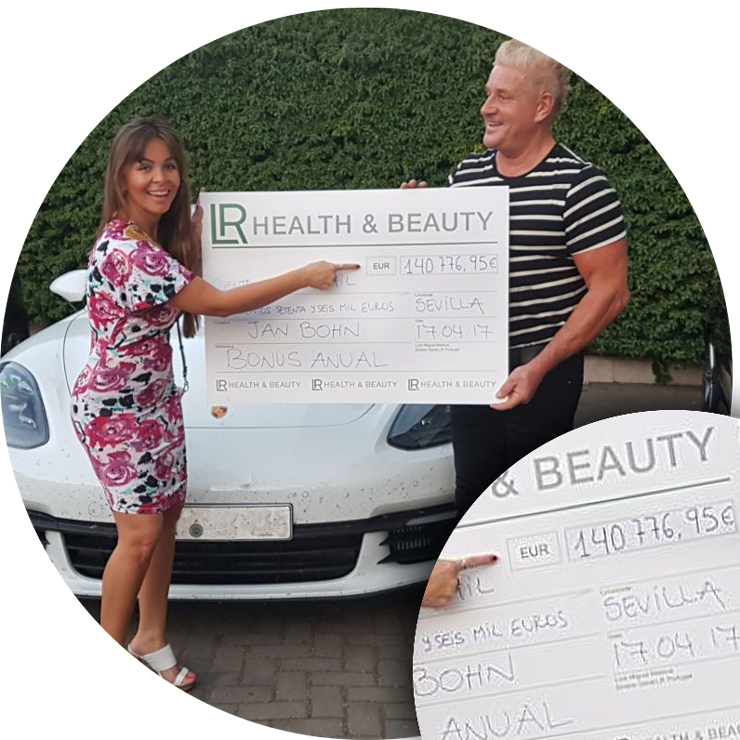 I have over 20 years experience developing my own business with the company LR Health & Beauty in 10 from the 30 countries where LR has subsidiaries.. In only 14 months i got the qualification for Platinum Organization Leader. "My motivation was to start my own business without risk and have my economic freedom to make come true my own wishes, but of course it is very important to work together with a really serious company with high quality products and attractive commission plan as LR." What i find most fascinating are the passive income received by the volume generated every month, thanks to the turn over/marketing you are doing with the business and products , these passive income is what give you the economic freedom to decide on your life and your time. "There are not many people who can decide on this, because if you are an employee, your boss will always decide on your schedule and your income. If you have your own business, with workers, you have too much risk, large investment and too much responsibilities." I work with my couple Johanna Bravo, together we have created LR Network, here you will find general information about our business, the company , the products and also an area dedicated to train all my partners with important tools to develop their LR business in a easier and fastest way. There are also training videos in different languages : Dansk, Deutsch, English and Spanish. I have three rules which if are followed with consistency and discipline, there is only one result: SUCCESS! These are my rules since I started, so I'm the best example! Sale of Products: because you earn instant money. Register your business partners: to grow rapidly. Teach people on your team to do the same as you: That's how duplication happens! If you are looking for an alternative , a serious and stable business which gives you monthly income, company car, incentive trips also the possibility to heritage the business to your family,without risk or big investment, then I invite you to join my team.